“Mr. Chairman, welcome to your S$13,000 [US$10,257] per night suite,” I joked to an Indonesian colleague, as a hospital PR officer showed off “The Chairman’s Suite” to a group of journalists here on a Monday afternoon. This is very likely the most expensive hospital room in Singapore. The executive of the Mount Elizabeth Novena Hospital (MENH) proudly demonstrated to us the sophistication and opulence of the penthouse, including a private lift and extra rooms for family, guard, secretary or maid of the VVIP patient. The tariff of the “hospitel” (hospital hotel) of course was just for room and other basic services. Medical costs are extra. 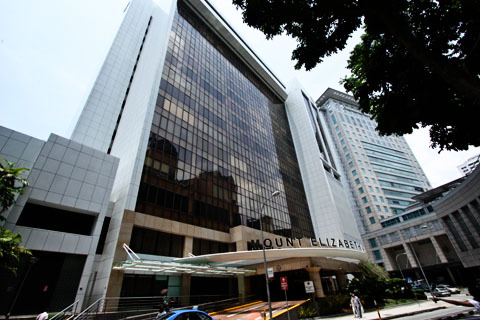 The Mount Elizabeth Hospital (affectionately called Mount E), located at the famous Orchard Road area, is very popular among the upper-class Indonesians. It is almost a must for wealthy and powerful people, like former president Megawati Soekarnoputri, to list their names in the health center medical database. The country’s most expensive hospital is so prestigious that many Indonesians want to make sure that everyone knows where they were treated before their death. When you read condolence notices in national newspapers, the hospital is often cited by the following text, “… passed away at Mount Elizabeth, Singapore”. The MENH belongs to the same group as the Gleneagles Hospital. Proper or not, ridiculous or not, do not be surprised when one day you read such a public announcement: “….passed away at the Chairman’s Suite, Mount Elizabeth Novena Hospital”. Journalists were invited to stay one night at the new S$2 billion hospital. All rooms are single-bedded except the super-expensive penthouse. My room, was only about S$600 per night. 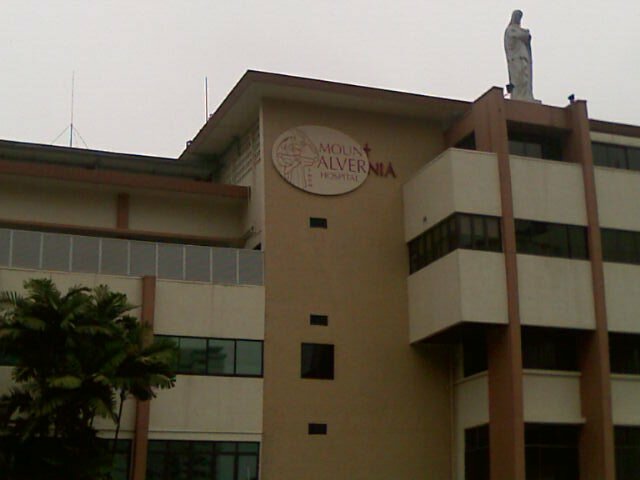 There are a few other hospitals around the Novena area, often dubbed the Novena medical hub. The objective of the one-patient-per-room strategy is to attract “wealthy domestic patients and premium medical travelers”. Before going to bed, the hospital Chief Executive Officer Dr. Lee Hong Huei had dinner with us. The chef is famous here and the menu is for upper-class people. And patients can order their favorite dishes, all are guaranteed hygienic. A young nurse explained to me the facilities of the single bedroom, including a bell with three buttons for three different purposes including suffering from pain or you simply want to go to toilet, and to summon nurse’s assistance. “Do not hesitate to call me if you need me,” the attentive nurse said before bowing her head and closing the unlocked door. “May I use this button tonight?” I joked to the nurse, pointing to the toilet button alarm. She did not hear, or pretended not to understand, my question. We were also given the list of doctors who were on call all night for their guests. The guests had to ‘pretend’ that we were sick, because the hospital was still in the final stages of preparation for full operation, expected later this month. It was practically empty of patients so, hospitalized in one of the most sophisticated and expensive hospitals in Singapore, we were expected to use our imaginations to inflict illness upon ourselves. The toilet is also super-modern! When you sit down on the bowl, your buttocks are gently warmed, thanks to an electric seat-warming device. The water in the spray is also warm. Be sure to heed the warning of the danger of electrocution if responding to a “call of the nature” while wet. While there is probably little doubt about the quality of doctors, their equipment and services, competition in medical tourism is getting fierce from neighboring countries like Malaysia and Thailand. Patients from North Sumatra and Aceh will prefer to go to Penang in Malaysia for instance, because the costs are less and the destinations closer. The continual rising of the Singapore dollar against rupiah however, may become a problem. In terms of rupiah, medical costs here are soaring, but doctors believe they can overcome this in a typically Singaporean way. Dr. Ho Choon Kiat, a specialist in general surgery, acknowledges hospitals can do nothing about the currency issue. What they can do is to continue to increase the quality of the doctor and services to patients. So if price is not an issue (at all), when you are sick this hospitel is a good choice if you have to travel abroad. For most Indonesians, the S$13,000 tariff is probably beyond their wildest imaginings, but several Indonesian conglomerates have shown a strong interest in the hospital facilities. The royal families of Malaysia and Brunei are also lucrative sources of guests and the number of visitors from China is also on the rise. As long as price is not a concern and health recovery is a priority, this tiny island will remain the main attraction for Indonesian patients. Singapore’s medical tourism attracts many Indonesians, and according to media reports Indonesians are on the top list of the visitors. And as long as the quality and the readiness of Indonesian doctors to serve their patients does not change significantly and our healthcare system remains messy, foreign hospitals will always be attractive for Indonesians. Scape 7am-4.59pm: $1.65 per hr or part thereof 5pm-6.59am: $4 for 1st 3hrs; $1.60 for sub. hr or part thereof. 7am-4.59pm:$1.85 per hr or part thereof. 5pm-6.59am: $4.20 for 1st 3hrs; $1.60 for sub. hr or part thereof. 7am-6.59am: $4.20 for 1st 3hrs; $1.60 for sub. 1/2 hr or part thereof. If you are holding travel documents from the following countries, you will require a sponsor who is either a Singapore citizen or Permanent Resident. • Holders of Palestinian Authority Passport, Temporary Passport issued by the United Arab Emirates and Refugee Travel Document issued by Middle-East countries. You are required to fulfill all of the following conditions for submission of application online via the ICA portal e-XTEND service. The nearest underground train station is Lavender (distance 10 meters). If you need more information you can visit their website at www.ica.gov.sg . Hotels near Gleneagles Hospital Singapore are listed for patients visiting Gleneagles Hospital at Napier Road. The hospital is located right next to the Singapore Botanics Gardens and opposite the American Embassy. Basic Medical Qualification which complies with the requirements of the Medical Registration Act (Cap 174) e.g. MBBS – Bachelor of Medicine and Bachelor of Surgery. Medical Registration Certificate (Full Registration or Conditional Registration) issued by Singapore Medical Council. Practising Certificate (Full Registration or Conditional Registration) issued by Singapore Medical Council. Postgraduate Occupational Health Qualification e.g. M Med (OM), Graduate Diploma in Occupational Medicine (GDOM). Parkway Novena Hospital, Singapore’s most expensive private hospital to be built here in the last 30 years, is set to open in the second half of 2012. The S$2 billion medical centre is Parkway Pantai’s most expensive investment in Singapore to date. The Straits Times reported that it will feature 333 single-bed only wards and the latest medical equipment. The hospital will focus on heart and vascular disease treatments, orthopaedics and neurosciences and offer general surgery. It also received a pat-on-the-back for its eco-friendly features, in the form of the Green Mark Platinum certification received in-principle from the Singapore Building and Construction Authority. It will be the first private hospital here to use fully paper-less, electronic system, a local news channel reported. A ceremony to mark the hospital’s structural completion was held on Tuesday, with Minister of Health Gan Kim Yong gracing the event as its guest of honour. Parkway Pantai Chairman Mohammed Azlan Hashim said the hospital will be the group’s “crown jewel,” and will compliment its network of hospitals. Parkway Pantai also owns Gleneagles Hospital, Mount Elizabeth Hospital and Parkway East Hospital in Singapore. He also added that he believes the hospital will be an important part of Singapore’s health-care eco-system. Can Raffles Hospital Handle Multiple Trauma Cases ? A recent official reply in the Straits Times below from the Ministry of Health and the Singapore Civil Defence hightlighted the fact that NOT all hospitals are capable of handling all sorts of medical situations. In this case, Raffles Hospital was cited as not able to deal with multiple trauma patients. See also Raffles Hospital’s reply below that. Likewise patients should be aware that NOT all medical centres are hospitals. If it is a medical centre, you may not have a proper hospital ward, other than those catering to short-term observation. MADAM Shirley Woon asked why the victims in the recent three-way Bugis crash were not taken to Raffles Hospital, but to the Singapore General Hospital (SGH) and Tan Tock Seng Hospital (TTSH), which are farther away (‘Why weren’t crash victims taken to nearest hospital?’; last Tuesday). For severe and multiple trauma patients, the Singapore Civil Defence Force (SCDF) emergency ambulance will take them to the nearest accident and emergency department that is equipped to deal with such complexities of care. In the accident referred to by Madam Woon, while Raffles Hospital is located close to the accident site, it is not equipped to deal with multiple trauma cases, and thus the SCDF had to take the patients to SGH and TTSH, which were the nearest fully equipped facilities to deal with such emergencies. IT IS an established procedure that Singapore Civil Defence Force (SCDF) 995 ambulances currently take patients only to designated public hospitals (‘Raffles Hospital not for multiple trauma cases’ by the Ministry of Health and SCDF, Monday; in reply to ‘Why weren’t crash victims taken to nearest hospital?’ by Madam Shirley Woon, May 15). This was explained by the ministry and SCDF in last Saturday’s report in The New Paper (‘Why victims not sent to nearer hospital?’). However, Raffles Hospital receives emergency cases on a daily basis brought in by private ambulances and vehicles, and air ambulances. Such emergency cases include victims of industrial and construction accidents, as well as overseas patients with traumatic injuries evacuated to the hospital by medical assistance and evacuation companies. We manage such trauma cases as a matter of normal and regular practice. In the past several years, our 24-hour emergency centre has received and treated casualties of road traffic accidents that had occurred in the vicinity of the hospital, and who were brought in by passers-by. Such patients are resuscitated and stabilised by the duty doctors, and admitted for surgery or procedures and further treatment as required. Our priority in all such circumstances is always to put the patients’ needs first and to save lives. TTSH is the second largest acute care general hospital in Singapore, with specialty centres in Rehabilitation Medicine and Communicable Diseases. 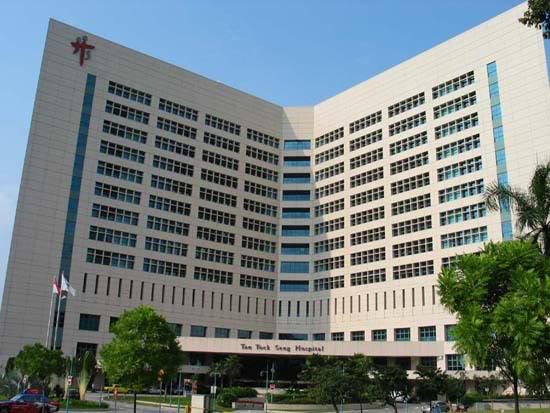 A 1,200-bed hospital, TTSH is equipped with state-of-the-art facilities and medical equipment, as well as the latest communication and information technology tools. TTSH champions the development of Geriatric Medicine, Infectious Disease Management, Rehabilitation Medicine, Respiratory Medicine, Rheumatology, and Allergy & Immunology in Singapore. It is also a major referral centre for Geriatric Medicine, General Surgery, Emergency Medicine, Diagnostic Radiology, Gastroenterology, Otorhinolaryngology (Ear, Nose & Throat) and Orthopaedic Surgery. Department Opening Hours Tel. No. 6-Bed Room (not for maternity patients) $125 N.A. *Please note that in consideration of patients’ need to rest, only one companion is allowed in single rooms and there is a daily charge for the companion, which includes all meals. All rooms at our Paediatric Ward include meals for the First Companion. For the Second Companion staying in, a Companion Fee of $75 (includes meals) is chargeable. Children 12 years and above will be charged as Adult patients. Please note that a Daily Treatment Fee for nursing services of $105 applies for inpatients and $80 for day surgery cases. All goods & services consumed are subject to 7% GST. For Day Surgery cases, Day Surgery packages apply only if all procedures are completed within the same calendar day (by 12 midnight). MOH guidelines on submission of Medisave Claims also stipulate that day cases must be done within the same day.